In continuation of the Indian Navy’s overseas deployment to West Asia, Africa and Europe, INS Trikand, entered port at Valencia today for a three-day visit. The ship will engage extensively with the Spanish Navy during its stay in the country. Apart from professional interactions, a number of sports and social engagements are also planned, which would go a long way in enhancing cooperation and understanding between the two navies. 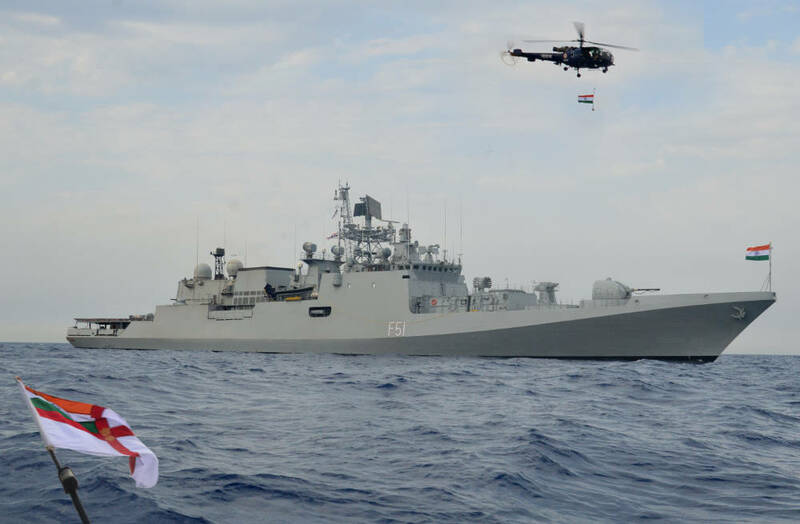 Indian naval assets are regularly deployed as part of the Indian Navy’s mission of building ‘bridges of friendship’ and strengthening international cooperation with friendly countries as well as to address maritime concerns of the region including piracy in the Gulf of Aden. In addition, Indian Navy has also been involved in capacity building and capability enhancement of friendly navies in the Indian Ocean Region, besides providing assistance in hydrographic survey, search and rescue and improving maritime domain awareness. A notable recent employment of the Indian Navy was the evacuation of over 3000 Indians and citizens from 35 other countries from strife-ridden Yemen in April this year. India and Spain have enjoyed warm relations over the years. A number of bilateral arrangements for co-operation and cultural exchange exist between the two nations. The current visit seeks to underscore India’s willingness and ability to work closely with friendly countries on maritime issues of mutual concern and, in particular, to further strengthen the existing bonds between India and Spain. INS Trikand, commanded by Captain Vinay Kalia, is a state-of-the-art warship of the Indian Navy equipped with a versatile range of weapons and sensors capable of addressing threats in all the three dimensions – air, surface and sub-surface. The visiting ship is part of the Indian Navy’s Western Fleet and is under the operational command of the Flag Officer Commanding-in-Chief, Western Naval Command, with its Headquarters at Mumbai.